Dom Prag is an up and coming young folk singer based in Southampton. After gigging around Brighton in his formative years in such venues as The White Rabbit, The Fiddler’s Elbow, The Brunswick and Marwood Cafe, where he launched his EP Talitha and Other Songs in 2015, he has been taking folk clubs by storm. He has appeared at Nozstock (2014), Folk East (as part of Brighton band ‘The Knights Project’) in 2016, and in 2018, the Wickham Festival, Wimborne Folk Festival and Purbeck Folk Festival. 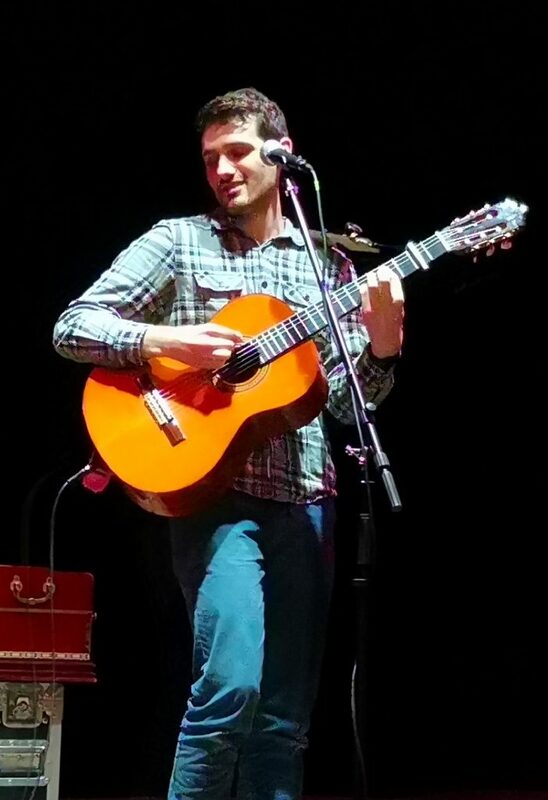 Dom’s music knits together British and European folk tradition, classical guitar: mining songs, poems set to music (Keats, Larkin), compositions influenced by Schubert and Shostakovich, bluesy riffs and raw vocals. His own songs start as poems and then undergo a transition into songs as the music is composed. Throughout 2016 and 2017 he worked on the Arts Council funded Ferry Tales project in collaboration with poet Robyn Bolam and fellow musician JC Grimshaw, setting poems about ferries and ferry experiences to music. In December 2018 he released his debut album Young Man on a Ferry. And 2019 sees him touring to venues up and down the country to promote the album.